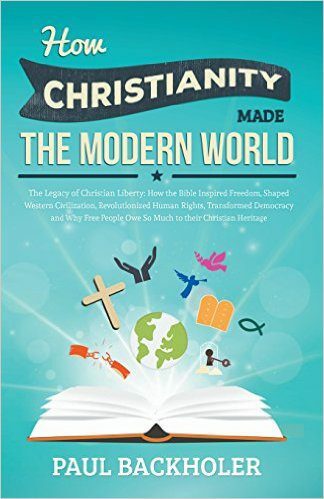 How Christianity Made The Modern World – The Legacy of Christian Liberty: How the Bible Inspired Freedom, Shaped Western Civilization, Revolutionized Human Rights, Transformed Democracy and Why Free People Owe So Much to their Christian Heritage. What has Christianity ever done for the world? The answer is both profound and inexhaustible. Discover how Christianity became the most important factor in the creation of the modern world by shaping our values, beliefs and civilization. Find how leading scientists, explorers, adventurers and freedom fighters were inspired by their Christian faith and learn how they changed life on planet earth!